Foodies and winos, these ones are for you! Take a look at these publications by some of our very own CS group members on wine, food and how they are consumed in Australia over on The Conversation. Julie McIntyre, John Germov and Lauren Williams explore the pro’s and con’s of diet wine and urge for consumption guidelines on “light” wines in ‘Light’ wine: good for your waistline or just producers’ bottom line? Also on The Conversation, Lauren Williams and John Germov share some insights from their studies on the the Slow Food movement in Australia in their article Forget fast food, slow down for better well-being. Enjoy and share your thoughts and comments, here or over on The Conversation. 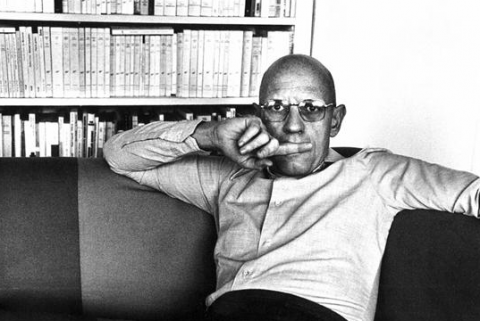 a recording of Foucault commenting on Discipline and Punish (1977) in 1983.
a Schoolhouse Rock-style presentation of Foucault’s The History of Sexuality, Volume I (1976). some vintage video of Foucault’s 1971 debate with Noam Chomsky. 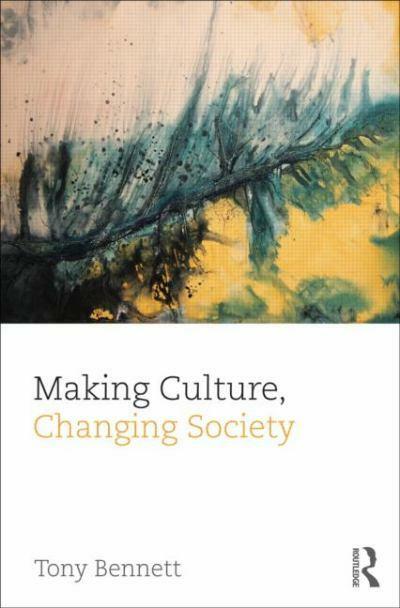 Making Culture, Changing Society proposes a challenging new account of the relations between culture and society focused on how particular forms of cultural knowledge and expertise work on, order and transform society. Examining these forms of culture’s action on the social as aspects of a historically distinctive ensemble of cultural institutions, it considers the diverse ways in which culture has been produced and mobilised as a resource for governing populations. These concerns are illustrated in detailed case studies of how anthropological conceptions of the relations between race and culture have shaped – and been shaped by – the relationships between museums, fieldwork and governmental programmes in early twentieth-century France and Australia. These are complemented by a closely argued account of the relations between aesthetics and governance that, in contrast to conventional approaches, interprets the historical emergence of the autonomy of the aesthetic as vastly expanding the range of art’s social uses. In pursuing these concerns, particular attention is given to the role that the cultural disciplines have played in making up and distributing the freedoms through which modern forms of liberal government operate. An examination of the place that has been accorded habit as a route into the regulation of conduct within liberal social, cultural and political thought brings these questions into sharp focus. The book will be of interest to students and scholars of sociology, cultural studies, media studies, anthropology, museum and heritage studies, history, art history and cultural policy studies. The Work, Employment and Society 2013 Conference has an international focus and comes at a critical time for the study of work. Like the journal, the conference is sociologically oriented, but welcomes contributions from related fields. Over the past few years, unprecedented state intervention in the economy and subsequent radical reform plans for the public sector and the welfare state have raised new questions on the ways work is socially regulated: the WES 2013 conference will bring together sociologists of work from across the globe to assess the evidence and consider the theoretical implications of changing relations between work, society and the state. Are you looking for an opportunity to advance your research career? Would you like to join a team of vibrant, internationally acclaimed research leaders in our quest to address the multidimensional social and cultural challenges we face in the world today and in the future? You are entrepreneurial, collaborative and passionate about your research with a desire to excel and lead. Ideally, you will have broad interdisciplinary expertise in cultural and social research, and be prepared to contribute to the strategic development of the Institute’s overall research program. Your interest in the role of knowledge practices in contemporary social and cultural change and your experience in Asia-related research activity would be a distinct advantage. The positions are full time, ongoing appointments and will be based at our Parramatta campus. To apply for this position you must have completed a PhD qualification in a relevant discipline; and are required to submit a research and scholarly activity plan. To view the position description or to apply, please see the University of Western Sydney current vacancies listing.